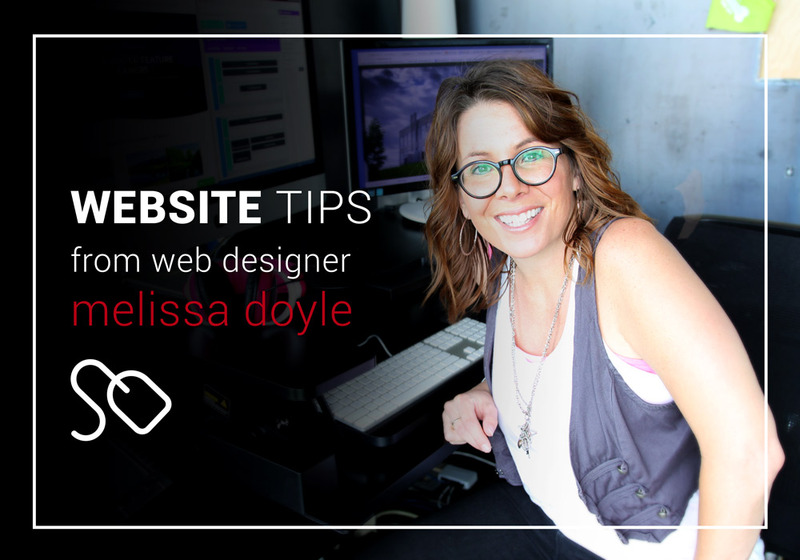 Have you ever thought about your website you had back in the early 2000s? Wish you could see it again? Perhaps your website crashed, your domain expired and your website is down and you need to get content back to start building again. For as terrible as all that is, you may be in luck. It’s called the Internet Archive, which is a non-profit library of millions of free books, movies, software, music, websites, and more. In this article we are going to focus on its web backup area, better known as – Wayback Machine. 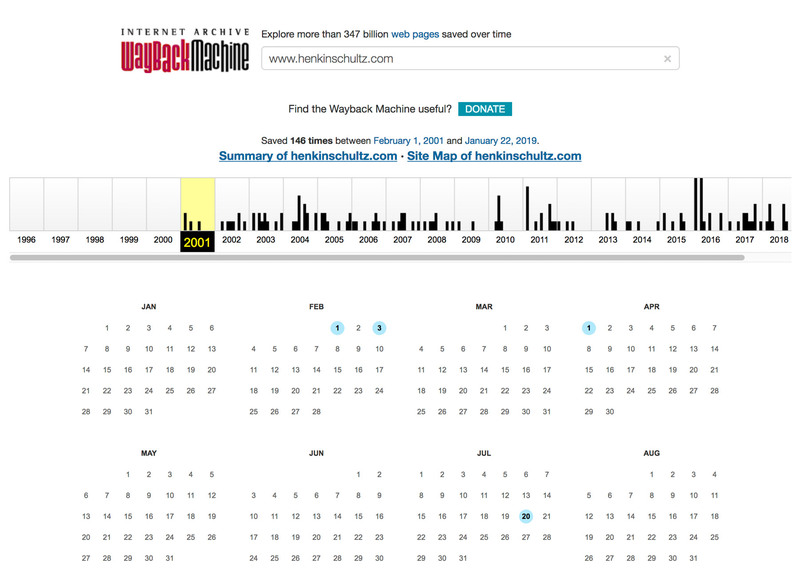 Wayback Machine has stored more than 347 billion web captures since 2001. 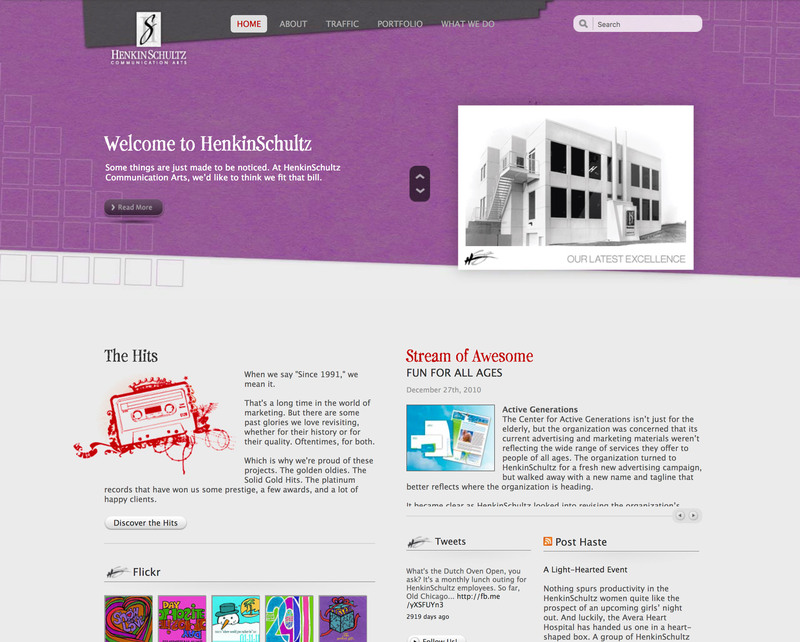 So just for fun we thought we’d ‘go back’ and check out our own site, henkinschultz.com. Just by typing our url in the search box we are able to see (as indicated by the blue highlighted dates) that our website has been archived several times a year, since 2001. But unfortunately the captures from that year only generate some broken imagery. Moving ahead to 2004, we found that our fancy flash site was successfully captured. Site speed, UX/UI and keyword strategy for all sites was less of a concern back then. Although the internet had been around nearly a decade, many businesses still had not had a website. By 2011, in an effort to boost the user experience, we dropped the flash intro, added more menu options, copy and imagery to the homepage. All in all, our website was backed up relatively well by Wayback Machine. A few broken images here and there, but overall, it was a blast from the past browsing through the old HS archives. 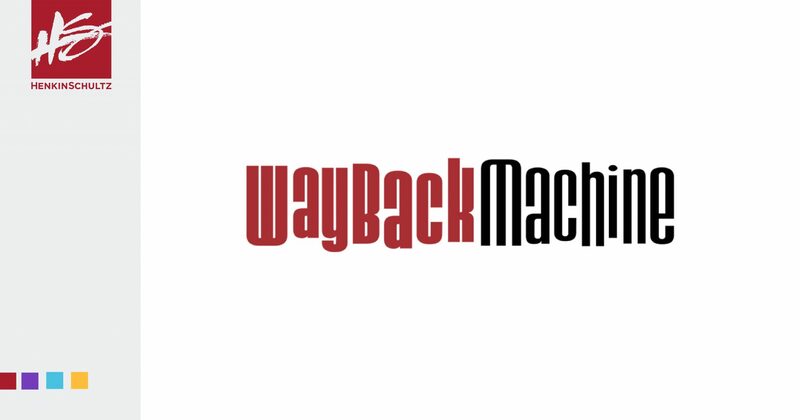 So how is Wayback Machine useful? In addition to reminiscing or having a good laugh, if your website ever crashes or somehow gets deleted and you didn’t have a backup of it, it’s one option to go back and pull off the content and start building again. By the way, make sure your website is backed up regularly. If you host your website with HenkinSchultz, yes it is – nightly, weekly and monthly. Our web team has used Wayback Machine a time or two, when helping clients determine just how old their site may be, or how long particular content has been published to their site. It can also be a useful tool to prove your content is original, when plagiarizers duplicate your content. The Internet Archive has never published an inventory of the websites it archives. And it hasn’t disclosed the algorithms it uses to determine what to capture and when. 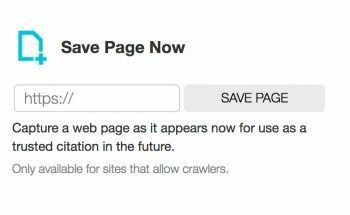 If you found that your site has not been archived by WaybackMachine, you do have the option to “Capture a web page as it appears now for use as a trusted citation in the future.” Just paste your URL in the field and click SAVE PAGE. The webpage is immediately archived, so you can reference it again anytime in the future. By using the capture feature above, you can archive virtually any webpage, not just your own site, but others too. So if they change the content later, you still have proof of what was initially published. In fact, as recent as 2018, the Wayback Machine’s archive of webpages is legitimate evidence that may be used in litigation, a US appeals court ruled. There are some caveats when relying on the Wayback Machine. It doesn’t always save every image, all CSS, or every page. It’s also worth noting, Wayback Machine does not archive every website, such as private or password-protected sites. So if you are looking to see your personal Facebook feed interface from 2009, you probably should have taken a screenshot. It serves millions of people each day and is one of the top 300 websites in the world. A single copy of the Internet Archive library collection occupies 30+ Petabytes of server space (and they store at least 2 copies of everything). Who pays for it? They are funded through donations, grants, and by providing web archiving and book digitization services for our partners. ”Most societies place importance on preserving artifacts of their culture and heritage. Without such artifacts, civilization has no memory and no mechanism to learn from its successes and failures. Our culture now produces more and more artifacts in digital form. The Archive's mission is to help preserve those artifacts and create an Internet library for researchers, historians, and scholars. The Archive collaborates with institutions including the Library of Congress and the Smithsonian. You can learn more about the Internet Archive by visiting their website, https://web.archive.org/. As always, if you have any questions regarding websites in general, reach out to our team.